The Hotel Marina is the Cinque Terre Hotel, one of the most beautiful Monterosso hotels. 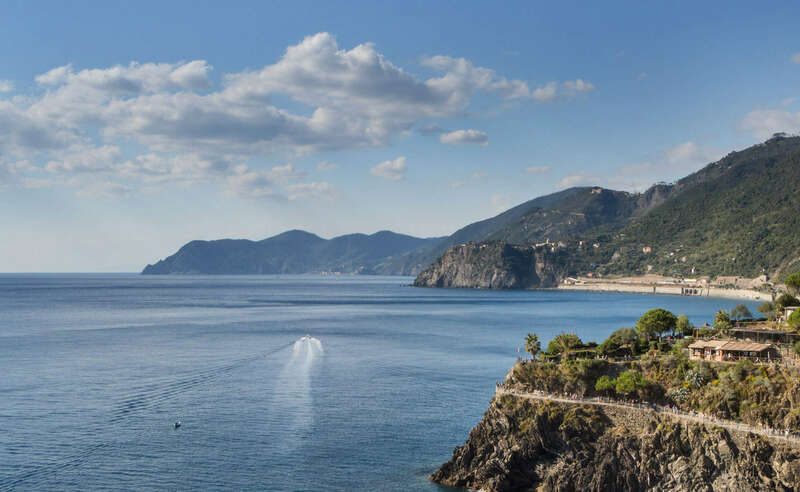 The hotel lies in a quiet area, 100 meters from the sea, the beach and the beginning of the hiking path to Vernazza in the wonderful scenery of the Cinque Terre. The friendly staff and the family run hotel atmosphere will make your holiday an experience to discover the real simple rations of a Cinque Terre fishermen town. Hotel Marina has 25 rooms. All the 25 rooms of the Hotel Marina have private bathroom, Tv 28 sat, telephone, air- conditioning, mini bar, safe. Hotel Marina is one of the most beautiful Monterosso hotels of Cinque Terre. The hotel is endowed with lift, reading room, garden, restaurant, big buffet breakfast. The Cinque Terre Hotel offers breakfast facilities: a rich buffet with local and organic delicious specialties and fresh fruit. From May to October breakfast is served in the garden of lemons, a breathtaking experience.